Orit Gidali (b.1974) | "A Song Every Day"
Orit Gidali (b. 1974) is probably the youngest poet explored by Hebrew Poetry Group, although we have read poems written when their authors were quite young. Twenty Girls to Envy Me. Selected Poems of Orit Gidali. Translated from the Hebrew by Marcela Sulak. (Austin: Center for Middle Eastern Studies at University of Texas, 2016.) Book link at UT Press. 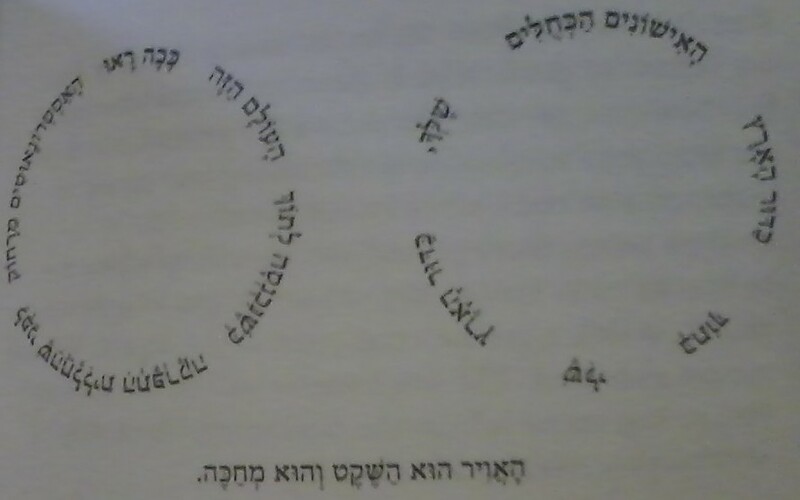 in English and (unpointed) Hebrew, with translator’s note, found in Ilanot Review. side as for the other…. originals are maintained alongside their translated counterparts. arrives at meaning, or strives toward it, poignantly. Somewhere on-line is a discussion of the unusual layout of some of Gidali’s poems — some are circular (literally), or have messages included vertically. I’ll post it when I re-locate it.